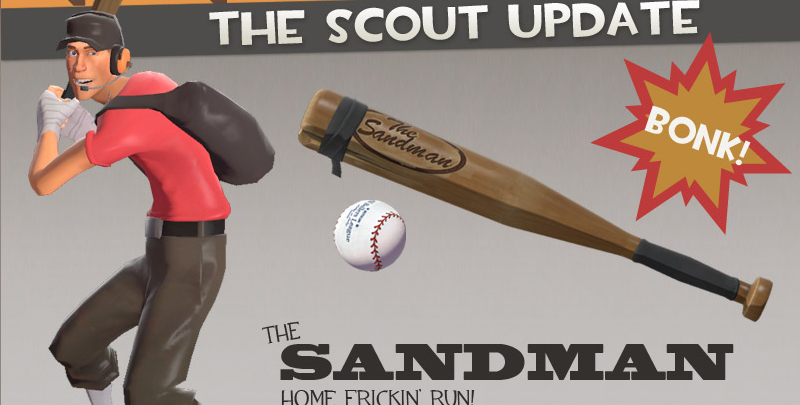 When the Sandman debuted during the Scout Update, Valve broke new ground regarding ranged melee weapons. Not since the Direct Hit has Team Fortress 2 been given a more spammable immediate-range weapon that crits like crazy, since the Sandman’s baseball shares the bat’s increased melee crit chance. However, perhaps because of it’s unusual design, there have been a number of bizarre exploits associated with this weapon over the years and a few of these are still in the game today. Just release the baseball as soon as you run into the wall. There are videos all over YouTube of players abusing this glitch, it’s one of the easiest exploits to accomplish on this list. This one is pretty minor compared to the others on this list, but you can save a Soldier from blowing himself up by stunning him while he taunts with the Equalizer/Escape Plan. It only cancels the explosion part, so arguably you may also be saving the oblivious friendly teammates about to get gibbed. Depending on your point of view, this may be considered a downside. Here’s the other one that isn’t patched yet, though probably because it was only found today. If a rocket hits a rolling Sandman ball before the ground, the rockets just hovers there, waiting for an enemy (or friendly) to run into it. Angle it right and you can get the rocket to coast along the ground as well. Move over Demoman, there’s a new trapper in town! If you feel like toying around with this last one, I encourage you to do it quickly. Valve probably won’t let this glitch survive for long.